The Cisco SPA525G2 5-Line IP Phone with Color Display (Figure 1) is an excellent choice for businesses that require an enhanced user experience with a hosted IP telephony service, an IP private branch exchange (PBX), or a large-scale IP Centrex deployment. Part of the Cisco Small Business Series, the SPA525G2 uses industry-leading SPA voice over IP (VoIP) technology from Cisco, with high-quality hardware providing additional connectivity via Bluetooth, PoE (802.3af), or a Wireless-G client (802.11g). The Cisco SPA525G2 IP phone can easily grow with your business. New features can be added to the phone over time via firmware updates. New employees or employees who need to move to another location can simply plug in their preconfigured phones anywhere on the network, and the network will recognize the change. The phone also supports wireless network connectivity, providing unrestricted placement without the cost of running network cabling. Tables 1 through 4 present the features, specifications, and compliance information for the Cisco SPA525G2 5-Line IP Phone with Color Display. 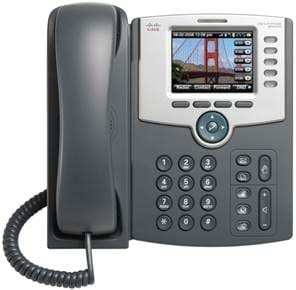 Table 5 provides ordering information for the Cisco SPA525G2 IP Phone. Table 6 lists the optional accessories. The Cisco Small Business Support Service provides three years affordable peace of mind coverage, to help protect your investment and derive maximum value from your Cisco Small Business solution. The subscription-based service offers software updates, telephone and online chat access to the Cisco Small Business Support Center, and next business day hardware replacement. Table 7 provides ordering information for this support option.